The New Revised Standard Version is the Bible translation often recommended for use in the Church of England and other churches. The NRSV Popular Text Edition uses the Anglicized text, with British spelling and punctuation. It features clear, easy-to-read print: the text is helpfully broken up with bold section headings, and running heads show chapter and verse for easy navigation. 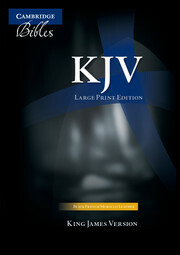 The edition is available in a range of cover styles including hardback, intended for use in church. 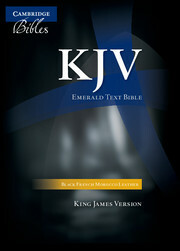 All are printed on lightweight Bible paper and have fully sewn bindings for durability. 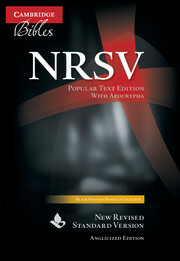 As an added benefit, they share a matching page layout and numbering with the Cambridge NRSV Lectern Edition. 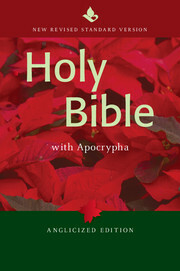 This particular Bible contains just the Old and New Testaments, without the Apocrypha. It is handsomely bound in real leather with gold page edges and would make a suitable ordination Bible for a priest, or a gift for a special occasion. Cambridge is one of the few publishers that offers a genuine-leather bound copy of the NRSV. This is an excellent Bible, printed and bound in Italy. The paper is opaque and the text is very easy to read- it looks to be line matched. 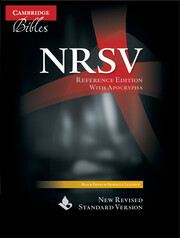 I wish this was available in a reference edition without the Apocrypha (non Anglicized). The French Morocco leather is a bit stiff, and the cover has bubbled up in some places with use. 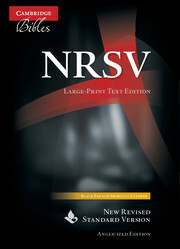 Other than that, this is a beautiful edition of the NRSV.